The super tall tower rising in the Jumeirah Lakes Towers (JLT) area is all set to start soon. With its video going viral online, Burj Jumeira, the new iconic tower will soon be added to the Dubai’s skyline. 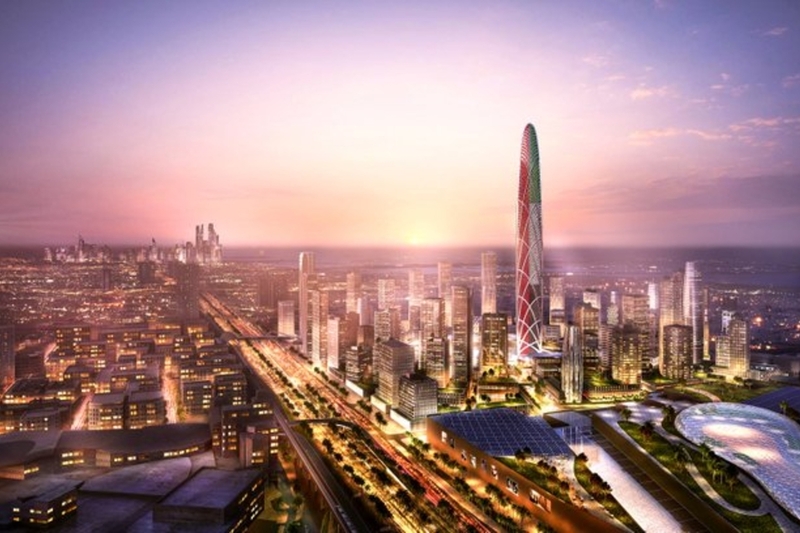 The mega project by Dubai Holding LLC is expected to be in the Al Sufouh district of Dubai and the first phase is due to be completed in 2023. 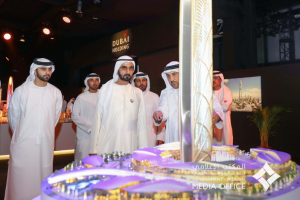 Inaugurated by His Highness Sheikh Mohammed bin Rashid Al Maktoum, Vice President and Prime Minister of the UAE and Ruler of Dubai, the new tower will accommodate homes, hotel units as well as office space. Burj Jumeira is strategically located opposite Sheikh Zayed Road in Al Sufouh. 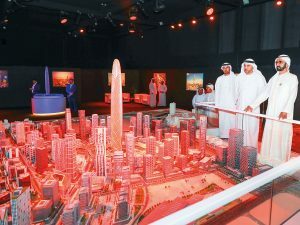 The super tall tower will be 550 meters high and its façade will be covered with digital displays to be utilized for various occasions and celebrations. The design reflects the harmonious ripples of the UAE’s desert sand dunes and its flowing oases. At Burj Jumeira’s summit is the crown. It is quite flexible to host a variety of different events. With advanced technology deployed, the inner surfaces of the crown can be transformed into fully immersive and interactive displays. The crown can accommodate varying capacities and uses, with the sky-lounge and interconnected sky-restaurant providing an opportunity to host larger scale events. It will comprise of multiple observation decks to give visitors 360 degree panoramic views of the city. Perhaps, it will serve as a major venue to watch fireworks and other mega events that take place throughout the year in Dubai. Visitors can also take take part in extreme sports. Moreover, the modern digital screens in the lifts carrying visitors display the breathtaking views of the city from the tower, going beyond the traditional concept of observation decks. Designed in the outline of Sheikh Mohammed’s fingerprint, the base of Burj Jumeira will accommodate various social, cultural and artistic events and activities. There will be many entertainment options available like water fountains, a terraced outdoor amphitheater and interactive lighting and fireworks displays. Also the base of Burj Jumeira will have fully integrated and vibrant retail outlets.